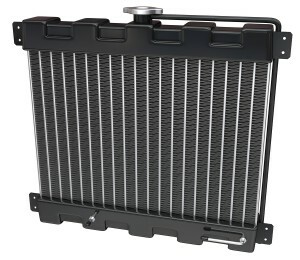 The job of your radiator is to keep coolant flowing throughout your engine. If there’s a block or a leak, your engine can quickly overheat and your vehicle will break down. Coolant leaks are caused by cracked or ill-fitting hoses or a hole in the radiator itself. Radiator metal is thin and easily damaged, but the number one cause of coolant leaks is corrosion. The number one cause of corrosion is a lack of preventive maintenance. We recommend having your cooling system professionally inspected at least once a year. A flush and fill is a critical part of preventive maintenance. Antifreeze (coolant) is very caustic. Left in the radiator for too long, it will begin to corrode the metal, and cause a potentially disastrous leak. If we detect any coolant leaks we can repair them or replace the damaged part. So stop in today for an inspection. Keep your automatic or manual transmission cool, too! Stop by Performance Automotive with any questions you have, or to determine when your vehicle needs this critical service.